Learn what qualities are needed to become the best-possible death education teacher and get inspired to teach your own class! In this episode I focus once again on death education and talk about the qualities that are best suited to teaching this subject matter. Find out if you would be a good teacher and what subject and students are ideal for your knowledge and experience. Get the Teaching Guidelines for a Death & Dying Class here! You’ll be on the list to learn more about upcoming work groups to help you put together you own class! THANK YOU to my latest supporter at Patreon.com/eolu: Janel Barthe! Also thank you to Suzanne O’Brien of Doulagivers™ who has been supporting this podcast for over a year and is one of our biggest donors! Your encouragement and contribution to this work means everything to me! Go to Patreon.com/eolu if you’d like to join and become a patron – you’ll get access to the monthly Q&A call (Hospice Happy Hour) among other benefits! Today I’m sharing some thoughts on what it takes to teach a death and dying class as part of my ongoing focus on death education for 2018! What subject are you most passionate about in the end-of-life area? What knowledge and training do you have in this area and in other subjects? What type of work have you done in the past? What life experience have you acquired related to death and dying? Try to find the overlap between these 3 lists. Ask yourself: what training or work history do you have that you could use to find students with whom you can share your passion and life experience? For example: if you have had a career in law enforcement, have been a hospice volunteer, and are passionate about helping people deal with grief then teaching law enforcement officers how to manage feelings of grief and trauma after being exposed to death in the field might be a perfect fit for you. Curiosity – be a student yourself, always learning something new that you can bring to the classroom. Your syllabus will stay relevant and you will avoid burning out! Open-mindedness – set aside your own agendas so that you can guide students to their own individual conclusions, even if they don’t agree with you; be able to let go of your attachments to the outcome of your teaching. Even if you don’t feel like you are strong in all of these qualities don’t give up on the idea of being a death and dying teacher! You can keep growing and developing yourself as you teach others. Also don’t be afraid to get more education for yourself before you start teaching if there are subjects you still need to explore. Tune in every Monday for a new episode and if you enjoy this content please leave a review on iTunes (it really helps!) Check out Patreon.com/eolu if you’d like to be a supporter! Learn tips for teaching college students about death and dying from psychologist and educator Stacy Smith. In this episode I share an interview with Stacy Smith who teaches a course in the Psychology of Death and Dying to students at a local community college. She’ll offer some great tips about teaching your own class and help you get inspired to become a death-ed teacher! 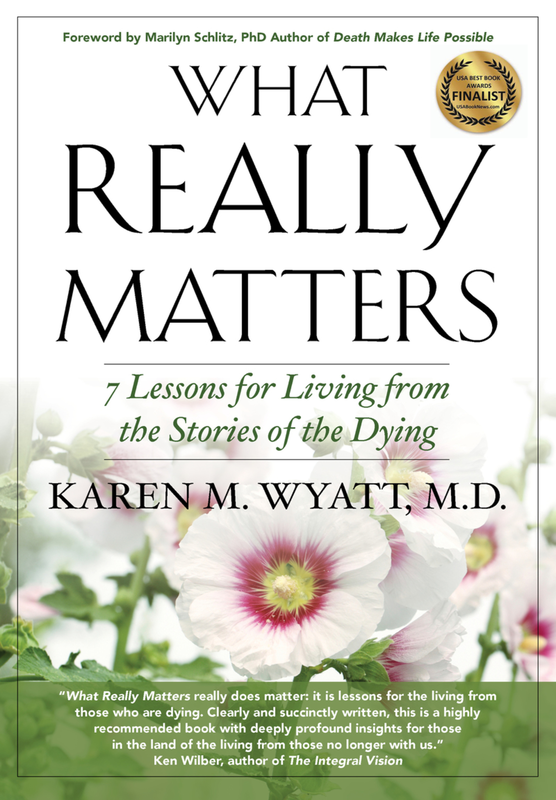 Click here to Download the Teaching Guidelines for a Death & Dying Class! Thank you to all of the supporters of this podcast on Patreon.com/eolu – click here to become a patron and receive lots of bonuses! You can still sign up for A Year of Reading Dangerously and join us in reading 12 books about death and dying this year! Sign up here. Stacy Smith has a degree in counseling education and counseling psychology from the University of Colorado in Denver. She created a Legacy program for 5-18 year olds dealing with grief and loss. She has been in private practice for 14 years and specialized in grief counseling. She has been teaching in the Psychology Department at Colorado Mountain College for 5 years, including the class: The Psychology of Death and Dying. She is currently writing a book about destigmatizing mental illness and treatment. Tune in next Monday for another new episode! Meanwhile, you can join the Reading Group, get the Teaching Guidelines, subscribe to the podcast and leave a review on iTunes!